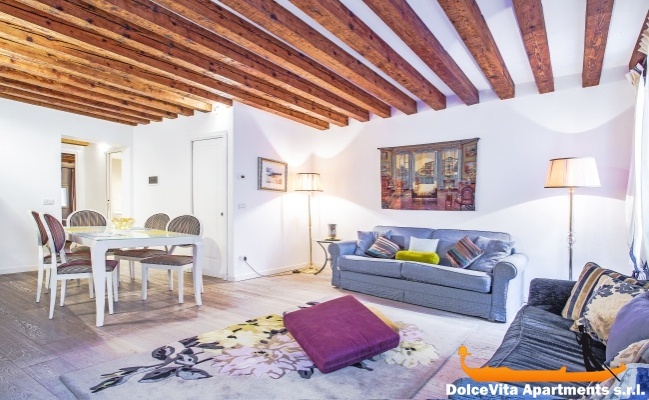 Apartment N. 222: It can accommodate up to 4 people, it is rented from 375 € per Night (not per person). 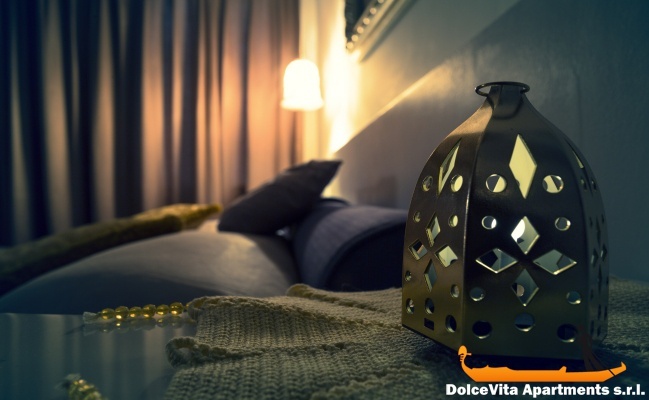 Apartment in Venice Suite St. Mark's: CHECK-IN WITHIN 18:00, NOT AFTER. 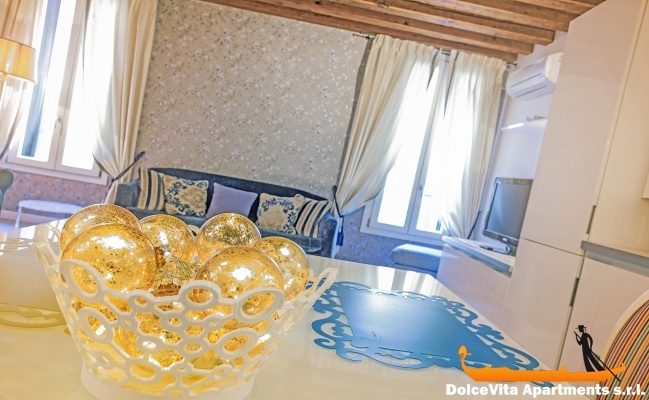 Cozy apartment on the second floor in the center of Venice, in San Mark district. Consists of hallway, large living area, bedroom and one bathroom with shower, this holiday home is suitable either for families or for groups. Because of a comfortable sofa bed (double), in addition to the double bed in the bedroom, the apartment can accommodate up to 4 people. A cot and high chair are also available for babies. 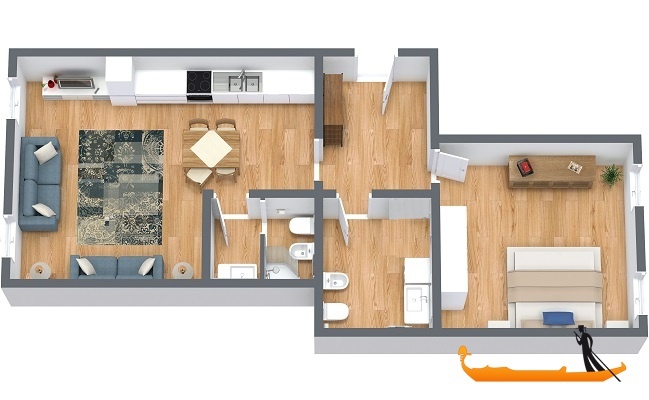 Furnished with care and attention, this apartment is equipped with washing machine, dishwasher, safe, plasma TV and free Wi-Fi connection. The kitchen is fully equipped including a toaster, oven, fridge and freezer. Sheets, blankets and towels are supplied. 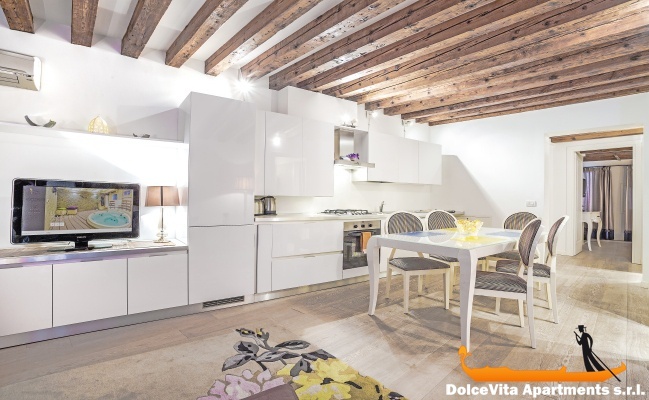 This apartment also benefits of a very central position: it is situated just 3 minutes walking from St. Mark’s Square and Rialto Bridge is only 250 meters far. Pets are allowed. Excellent quality / price ratio; wonderful location; exquisite hospitality; perfect equipment.